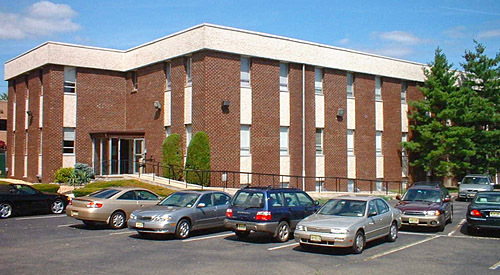 513 West Professional Building, with available office space in prestigious Livingston, NJ, easily accommodates small and medium size users. This 21,000 s.f. three-story office building features recently renovated common areas, flexible floor layouts, and on-site parking. Take Route 280 to Exit 4A Eisenhower Parkway South. Proceed on Eisenhower Parkway South through 4 traffic lights. Make right at 5th traffic light onto Route 10 (Mt. Pleasant Ave.). Take Route 10 West to first traffic light and make U-turn onto Route 10 East. 513 West Professional Building is on the right. 513 West Professional Building has office for rent in Livingston NJ.